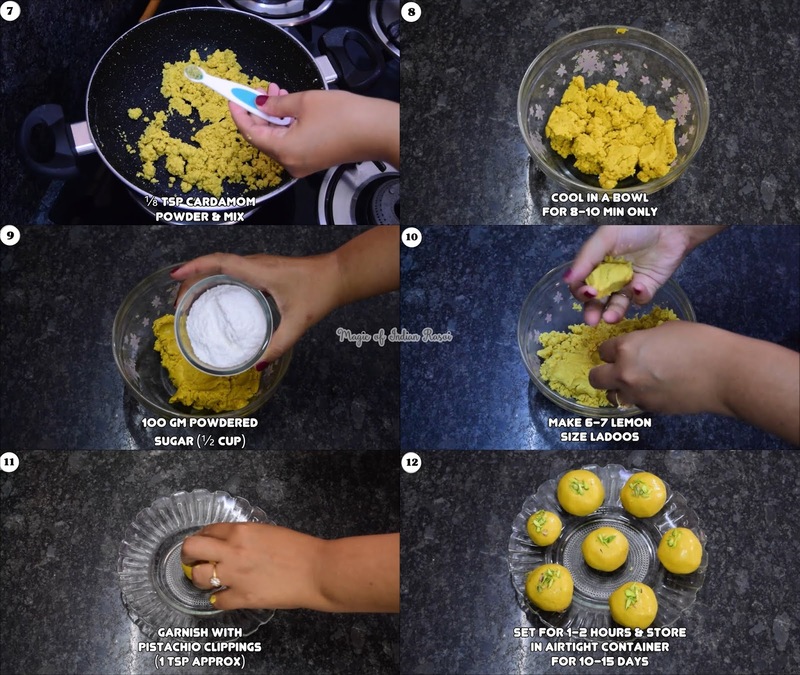 Besan Ladoo is a traditional Indian sweet made from chickpea flour & sugar. In this recipe you will learn how to perfectly make this at home which tastes & feels like the ones made by halwai. Besan flour is cooked slowly along with very little semolina till done. And then finally mixture is rolled along with powdered sugar to laddu shape balls. Do try it this festival season! 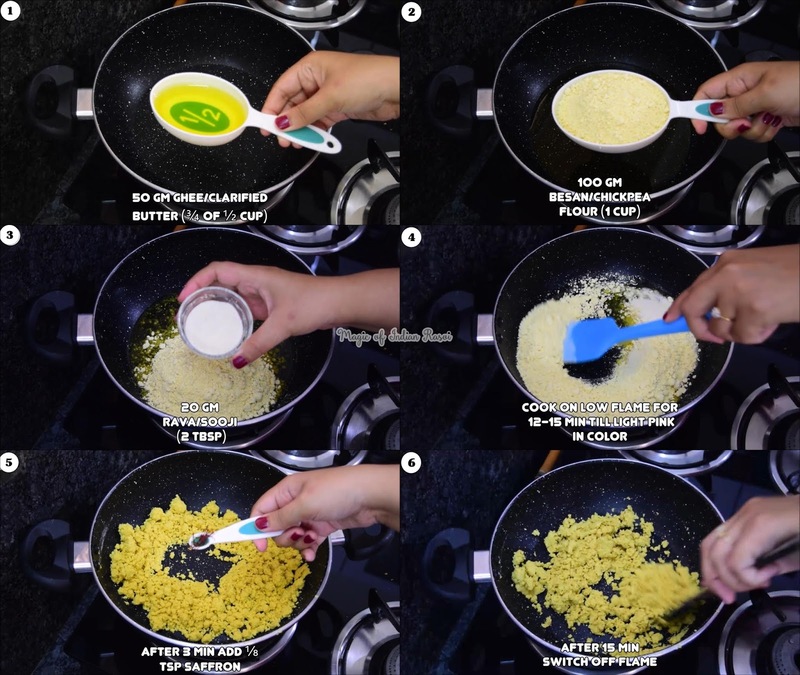 In a pan heat ghee, add besan, rava & saffron. Mix well. Cook on low flame for 12-15 min till light pink in color. After 15 min, switch off flame. Add cardamom powder & mix. Transfer into a bowl & cool for 8-10 min only. It should be warm to make ladoos. Make 6-7 lemon size ladoos from this mixture. Allow it to set for 1-2 hours & then it is ready to serve! Store in airtight container for 10-15 days at room temperature.